Palukaitis and Zaitlin, Replicase-Mediated Resistance to Plant Virus Disease. Lai and Cavanaugh, The Molecular Biology of Coronaviruses. Dorries, New Aspects in the Pathogenesis of Polyomavirus. Volkman, Nucleopolyhedrovirus Interactions with Their Hosts. De and Banerjee, Role of Host Proteins in Gene Expression of Nonsegmented Negative Strand RNA Viruses. 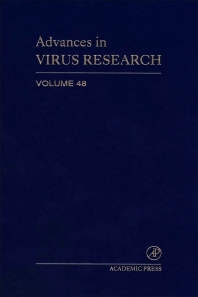 Loh, Viral Pathogens of the Penaeid Shrimp.